You’re going all-out, and have the kind of thirst that can kill your workout – fast. Should you reach for alkaline water or Gatorade? You should reach for both: Alkaline water can be combined with Gatorade to make the ultimate sports drink – Ionized alkaline Gatorade! 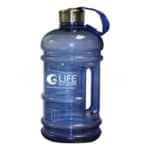 When powdered Gatorade – or any other powdered electrolyte drink mix – is combined with ionized alkaline water, it makes a powerful sports drink that combines the benefits of alkaline water with the benefits of electrolytes. Research published in the Serbian Journal of Sports Sciences shows that athletes that combine Gatorade with ionized alkaline water from a water ionizer perform better than when they drink either beverage alone. Gatorade was originally designed to replace and/or maintain an athletes electrolyte levels, so you shouldn’t drink it all the time. Drink one 16 ounce glass of alkaline water enhanced with Gatorade before your workout to maintain your electrolyte levels. After that, switch to straight alkaline water. If you are concerned about your sodium and/or sugar intake, you will want to choose a different electrolyte drink mix. There are several brands that don’t contain any sodium or sugar. Increases serum bicarbonates Your serum bicarbonate levels measures the level of bicarbonate (HCO3) in the bloodstream. Your body uses bicarbonate to maintain pH balance – bicarbonate prevents the blood from becoming too acidic or alkaline. Increasing your bicarbonate levels during a workout makes your body more able to fight off performance-robbing muscular acidosis – the burn you feel when working out. 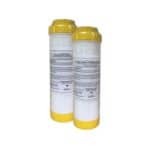 Reduces blood lactate concentration The concentration of blood lactate measures the amount of lactic acid in your blood. Lactic acid is what causes the burn in your muscles that you feel when working out, and it robs you of your peak performance. Reducing the level of lactic acid in your bloodstream allows you to perform at your peak for longer. Reduces cardiovascular stress Your heart is sensitive to your hydration status. 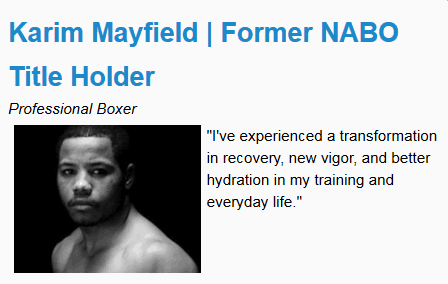 When you become dehydrated, your blood gets thicker, and that makes your heart work harder. For older athletes, cardiovascular stress can lead to heart attacks. Reducing cardiovascular stress reduces that workload on your heart, and may actually prevent a workout-related heart attack. Reduced urine output Your body loses water to sweat and urine output during a workout. If you have a high urine output, it means that your body isn’t retaining water, leaving you open to becoming dehydrated. Reducing urine output is especially helpful after a workout when your body needs to rehydrate. The tendency for more water to be retained in the blood For water to reach your cells and maintain your hydration levels, it must be carried there by the blood. By increasing the amount of water retained in the bloodstream, instead of being discharged as urine, your body remains better hydrated. Higher overall water retention rate The more water your body can retain during a workout, the less water you have to drink afterward to get rehydrated. Keep in mind, the athletic performance drops off significantly with as little as 2% water loss. Drinking alkaline water helps the body retain more water, and improves overall hydration status. Improves acid/base status Drinking alkaline water helps the blood retain serum bicarbonates, which allows your body to resist muscular acidosis. The longer your body can maintain it’s acid/base status against muscular acidosis, the longer and harder you can work out (Heil and Seifert 2009) (Heil 2010). Maintaining your acid/base status during a workout means that you don’t “bonk” and lose your performance edge. In both studies conducted on the effects of alkaline water alone on exercise, it was noted that the mechanism for retaining your acid/base status was the high pH of the alkaline water (pH of 10 used in both studies). Based on that fact, for athletic performance, you want alkaline water with a high pH. 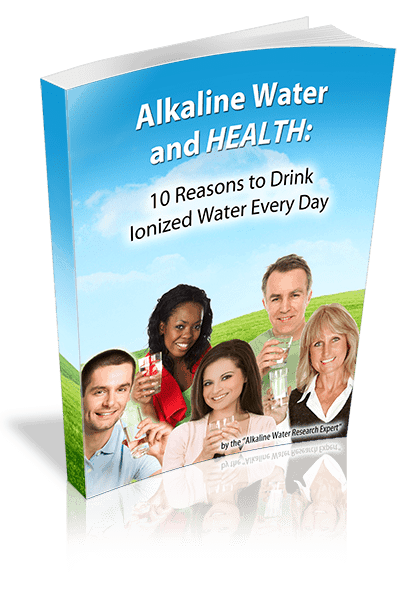 To get high pH alkaline water, a powerful water ionizer is needed. 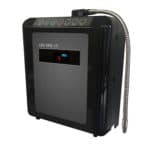 Life Ionizer’s M-13 is currently the most powerful water ionizer in the world. It can make alkaline water with a pH of over 12. Mixing alkaline water with Gatorade reduces the pH of the water by about 2, so mixing 12 pH alkaline water with Gatorade (or other electrolyte drink mix) will give you a high-performance sports beverage with a pH of about 10. I discovered the powerful combination of alkaline water and electrolytes about 2 years ago. I ride my bike to work here at Life Ionizers – a 20-mile round trip – every day. The combination of alkaline water and Gatorade is rocket fuel, I can truly feel the difference. In fact, it made me so much faster I had to buy a more capable bicycle to handle the speed! alkaline bottled water..” Journal of the International Society of Sports Nutrition. Journal of the International Society of Sports Nutrition, 13 Sep 2010. Web. 26 Mar 2014. <http://www.jissn.com/content/7/1/29>.